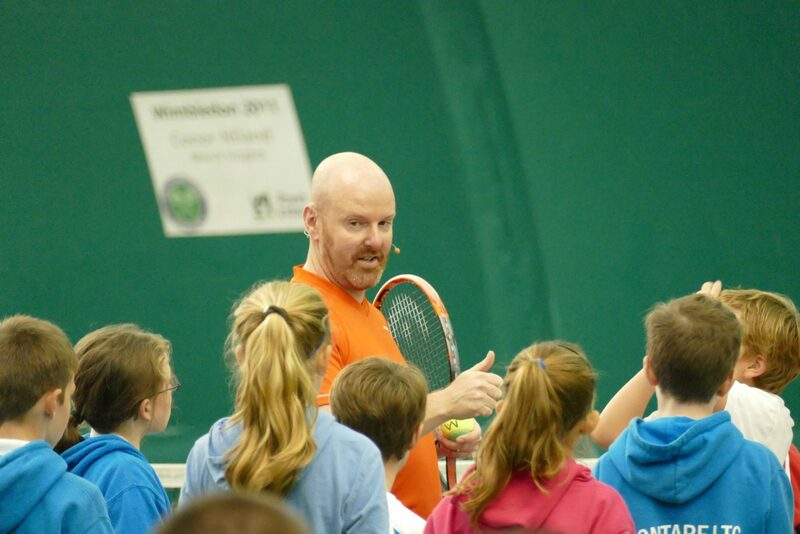 Being a tennis coach or parent can feel very isolating. You can be surrounded by many people on a daily basis yet still feel like you are working hard on your own. As your mentor, I can remove that feeling of isolation. Whatever the cause, I can help you to overcome times when you feel stuck – in your career, coaching, programmes… I can also be a powerful ally in your corner to help you to develop and maintain a focus on reaching your goals. Mentoring is appropriate for anyone who is serious about their coaching career; it is important that you are willing and able to apply the information and guidance from your mentoring sessions. Mentoring is a two-way street; you need to own your growth, learning and development. As your mentor, I am 100% committed to understanding you and your business. That takes time. So, to begin your Mentoring Programme with the Service Box you will join the programme for one quarter (3 months). The introductory rate is £200/quarter (a discount of 50% on my hourly rate). A free 1/2 hour session on Skype or Facetime to establish your goals and needs. Inclusion on the Service Box Mentoring Programme’s secret Facebook Group – exclusive to my mentored coaches, this closed group puts you in touch with a community of coaches who are also seriously engaged in driving their professional coaching career forward. You can ask questions and get feedback from these coaches … and also me. I am going to be active in this group. This is an important step forward for your career. If you’d like to talk to me directly to understand more about how you can use a mentor or how the programme works, please contact me. If you’re ready to get started, go right ahead and book your kick-off session. If you are interested in a “one-off” remote coaching or mentoring session then the normal £60 per hour charge applies. I’ve met a lot of tennis coaches in my time, but few as committed and enthusiastic about what they do, as Kris is. He’s always looking to learn and add to his repertoire and is happy to share his thoughts and experiences with others. We have worked together on several projects including Set4Sport and Tennis on the Road and he never fails to inspire and impress. I’m sure his website and his workshops will give you lots of ideas to enhance your own coaching skills. The best way to learn is to work alongside someone who knows what they are doing. And Kris knows what he is doing. I have been working with Kris in a coach education capacity for approximately 4 years. Kris is very interesting as he combines a systematic and creative mind, which is not a common trait in the educational world. This is important when designing coaching resources and delivering workshops. I learned a lot working with Kris both on tennis content but also by observing the way he works and thinks. With his work ethic and professionalism, I am sure that any project he will embark on will be of quality and reach the objectives aimed at. I’ve had the pleasure of working with Kris in both a coaching and coach development capacity. As a coach Kris has a lot of knowledge and is able to pass this on to the players he works with. As a coach developer he has helped me with my own development since moving from playing to coaching and I like the way he makes theory work in practical situations. It’s clear Kris is very passionate about tennis and he has now entered the world of tennis media with his own podcast and I look forward to listening to what he has to say!. Working with Kris has been a defining moment of my coaching career. Coaching in Germany has made our work mainly through Skype or email and throughout my journey with him I’ve always felt he’s right here with me. His ability to take all the thoughts and ideas and even doubts I have and organise them into a pathway for me to follow has changed my coaching for the best. His positive attitude and willingness to help I’ve never seen to this degree from any coach I’ve met. Having coached in 5 different countries in my 9yrs as a coach, Kris has been the biggest and best influence on my career to date. With Kris I have found the mentor I’ve always wanted but also gained a friend.